This project consists of the construction of three-land based and one-water based pier structures to form the foundation for a 1800′ metal truss bridge spanning the Tennessee River. 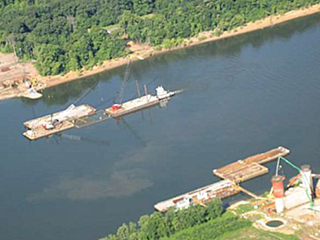 The main river pier foundation was designed by the KYTC as a contractor design-build feature. 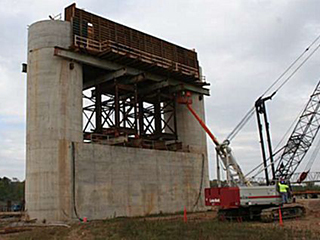 Mahan chose to design and build a deep water cofferdam using 65′ long PZ-35 steel sheet pile. 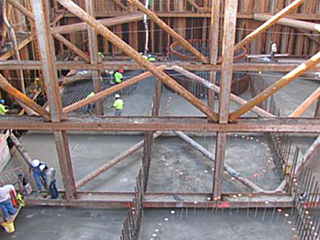 Mahan designed the cofferdam with a 15′ thick concrete tremie seal with three layers of steel reinforcement and the pier foundation was designed using 104′ long, 48” diameter, open ended steel casing friction piles. 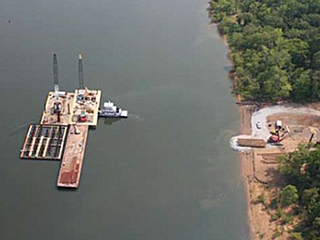 Additionally, the three remaining piers required contractor designed sheet pile cofferdams. 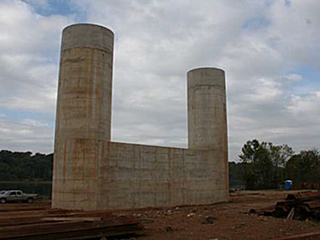 Mahan also proposed, and the KYTC accepted, a value engineering proposal to redesign the steel pile foundations to precast concrete piles that saved the project $500,000.00.